Over the weekend, Tiffany Haddish became the first female African-American comedian to host Saturday Night Live in its 42-year existence (and she killed it!). In fact, only 13 episodes of 834 have been hosted by an African-American woman from any part of the entertainment business, and that counts Queen Latifah twice. The show moved to Broadway — retitled Whoopi Goldberg — and was recorded for HBO, where it aired in 1985. All these years later, I still think of her “long, luxurious blonde hair” monologue whenever I am drying my hair with a white towel. “Think of it: Whoopi Goldberg has an Oscar, she’s hosted the Oscars, she performs with Billy Crystal and Robin Williams, she runs The View, she has a Tony Award for her acclaimed Broadway one woman show directed by Mike Nichols. Meanwhile, Alec Baldwin has hosted 17 times; Steve Martin, 15 times; John Goodman, 13 times. As of this May, the Wrap reported, there are 16 other people who have hosted five times or more. (This list has the same number but includes some other people because of differences of opinion about who is a host and who is a prominent guest.) Five members of the “Five-Timers Club” are women. One member is not white (The Rock). I feel like I could continue this massive digression all day, but I do have to get back to Tiffany Haddish, who was rightfully jubilant to have the hosting job. During her opening monologue, she pointed out that she has a real “Started from the bottom now we’re here” story, having grown up in foster care. 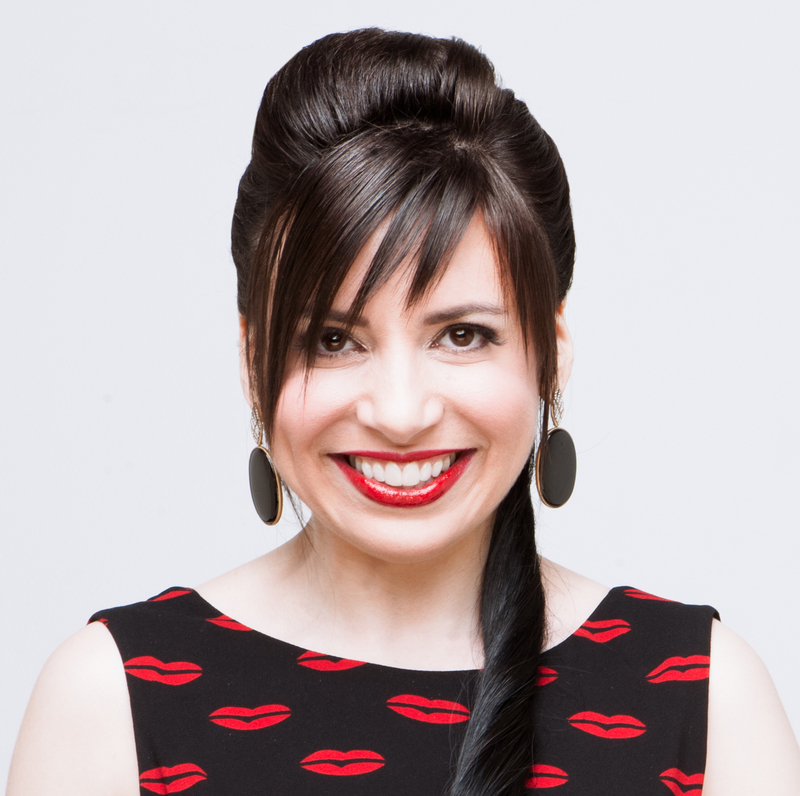 (At the end of the show, she thanked her social worker for steering her towards comedy.) She also pointed out that she was wearing the Alexander McQueen dress that she wore in July for the premiere of her movie Girls’ Trip. As she said, the dress cost $4,000 and she is going to wear it FOREVER. At home, MrB and I were cheering Haddish and her dress, because I’ve always been a believer in wearing the same things as many times as possible. When I started blogging in 2007, there were lots of fashion bloggers who indulged in frequent fast-fashion purchases, but there were also a lot who specialized in “remixing” — styling old clothes so differently that they look new. I didn’t fall into either category, and I still don’t. I like to keep things forever and I’ve never had the urge or the eye to be a good remixer, especially because it usually involves layering, which I’m hopeless at. Rent the Runway isn’t my thing either. For me, if an outfit works a certain way once, I’m happy to keep wearing it the same way and/or to the same events, whether that is twice in one weekend or four times over 10 years or anything in between. You can call it “slow fashion,” “homegrown vintage,” “investment buying,” or “lazy” — whatever! The point is that Tiffany Haddish is my recycling-fashion soulmate. Naturally, I had to tweet her about it, with one of the collages I like to make. I picked the Prada dress that was ubiquitous for Spring/Summer 2011. I didn’t hear back from Tiffany, but I made it to Inside Edition! Tonight, my sister Terri had the TV on in the background, and, during a segment about Haddish’s dress, glanced up just in time to catch the anchor intoning, “The monologue struck a nerve with women everywhere. 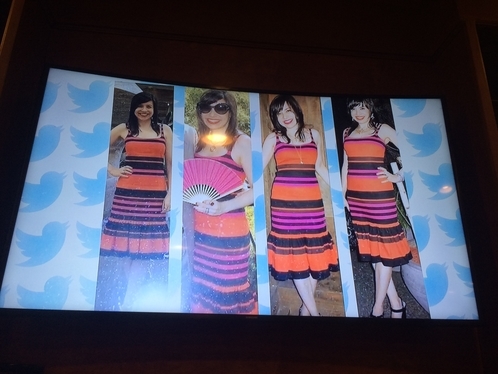 One woman tweeted photos of herself wearing the same dress FOUR TIMES.” I was the “One Woman”! Terri’s photo of my Inside Edition moment. As my five-year-old niece later reported, my sister “screamed and jumped up and down.” I nearly let out a scream myself when I got this text from Terri. Doing a speedy mental inventory, I determined I had not given any interviews about celebrity jewelry lately so I figured I’d been confused with someone else and landed on an FBI Most Wanted poster. 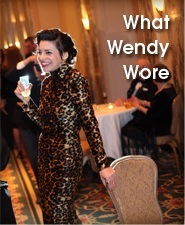 The only alternative was that I had once again been mistaken for the other Wendy Brandes of New York City and was being recognized for my noble legal work on behalf of children. Unfortunately, Inside Edition is more likely to cover the former situation rather than the latter, so I breathed a sigh of relief when I saw that the TV show had merely detached my photos from my tweet and any other identification and called me “One Woman.” I am slightly miffed that instead of embedding my whole tweet with my Twitter handle — so people who haven’t heard of my jewelry line might look me up! — I became the fashion equivalent of “Area Man.” I’m sure that if I had turned out to be the FBI’s Most Wanted, Inside Edition would have splashed my name all over the place. No good slow-fashion deed goes unpunished, I guess. But, nah, I’m (99.9%) kidding. This is highlarious. Please refer to me as “One Woman” from now on, y’all! Tiffany, I owe you! OMG being equated with “Area Man” made me snort-laugh!!! ??? It’s better than being “Florida man”! We know those guys are crazy. I snorted coffee at “Area Man”! Congratulations (??!!) 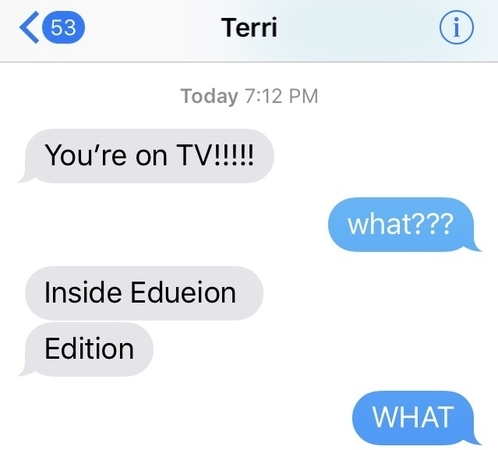 on being on Inside Edition. 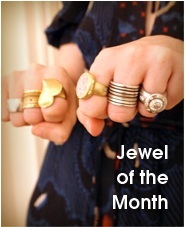 BTW, was Skylar Grey wearing some of your jewelry on SNL? I couldn’t see all the pieces very well.